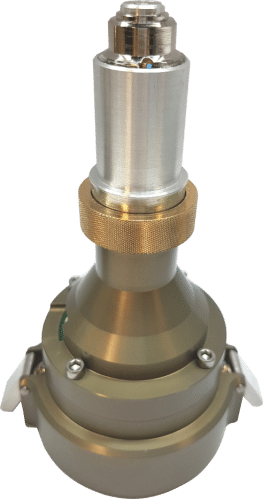 The SmartMagnet is a sample holder which can be mounted on the Ω axis of diffractometers, such as Arinax’ MD3 and MD2-S. 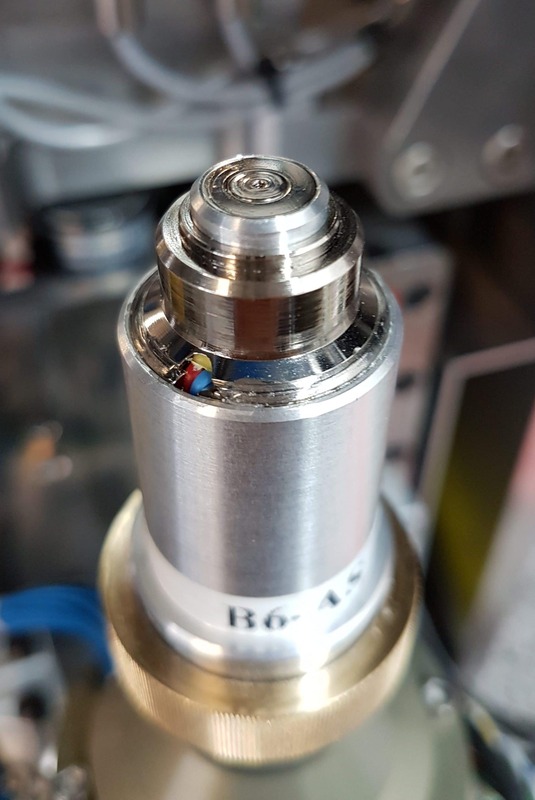 It uses an electromagnetic coil on the nozzle tip that enables easy mounting and dismounting of the sample pins, which is especially suited for sample changer robots using SPINE standard. 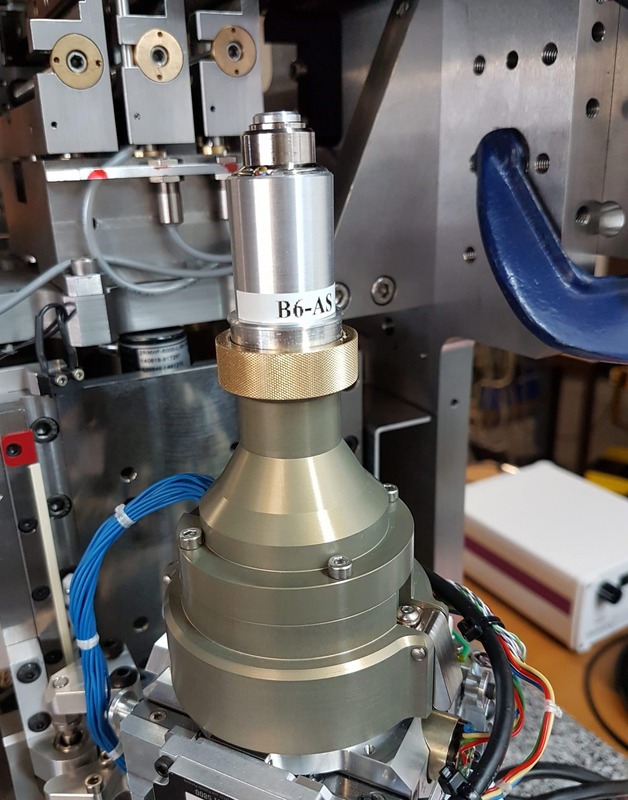 For X-ray beamlines using a gripper for the transfer (e.g. compatible with unipuck), a second version of the SmartMagnet is available. The SmartMagnet senses the electromagnetic field and detects the presence of the sample pin. 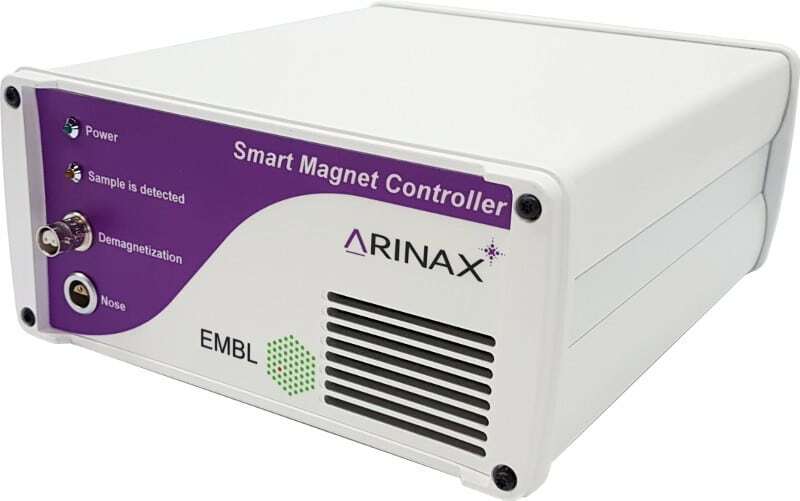 The sample detection is performed by the SmartMagnet control electronics which is integrated in the MD3 & MD2-S.
For other equipment, Arinax has developed an external SmartMagnet Control Box. The SmartMagnet is compatible with Arinax diffractometers, such as the MD3 & MD2-S microdiffractometers, and with the Mini-Kappa goniometer head. With an external SmartMagnet control box, the SmartMagnet sample holder can be compatible with other equipment.